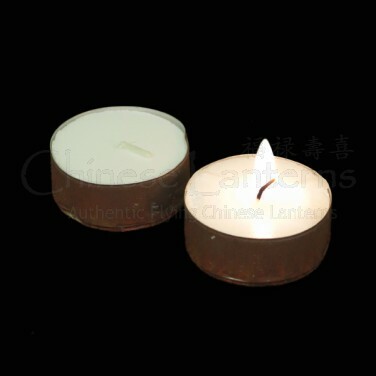 Wax Tealight Candles are ideal for use in our candle bags. Wax Tealight Candles burn for around 3 hours. Did you know you can extend the burn time of candles by refrigerating them? Colder candles burn for longer with a smaller flame because the wax has to melt before it can burn - of course, once they're lit, the wax gets warmer and the flame size and illumination increases over time.